Step 1. 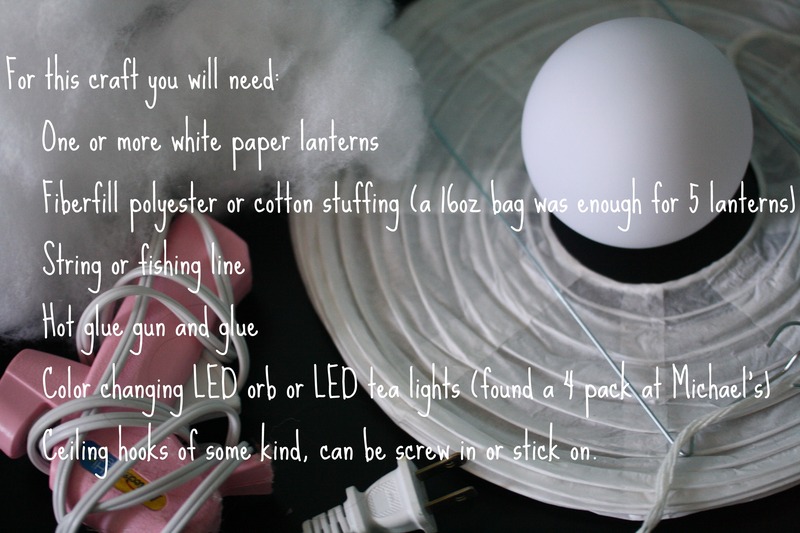 If you’re using the LED Orb, insert a piece of string through the small loop provided on the bottom of the orb and tie the orb to the metal support that comes with the paper lanterns so that it hangs roughly in the middle. If you’re using small LED tea lights you can hot glue them to the bottom of the metal support, or you could just drop them in once the cloud is done. 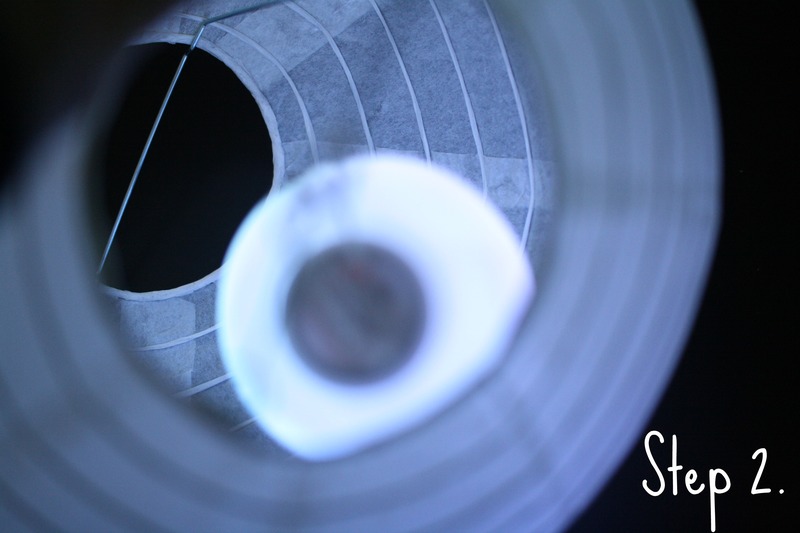 The kind of LED you use doesn’t really matter much, but make sure it’s an LED light as they don’t produce any heat. Step 2. Insert the metal support with light attached into the lantern. Step 3. Begin hot gluing the fiberfill to the outside of the lantern. Be liberal with the glue but only glue fiberfill to the surface of the lantern, gluing fiberfill to fiberfill will result in big clumps falling off eventually and you don’t want a balding cloud a week or two down the road. Glue one small hand full at a time, and save any fluffing for after the lantern is completely covered. Step 4. Fluff and hang. Turn on the lights in the lanterns. 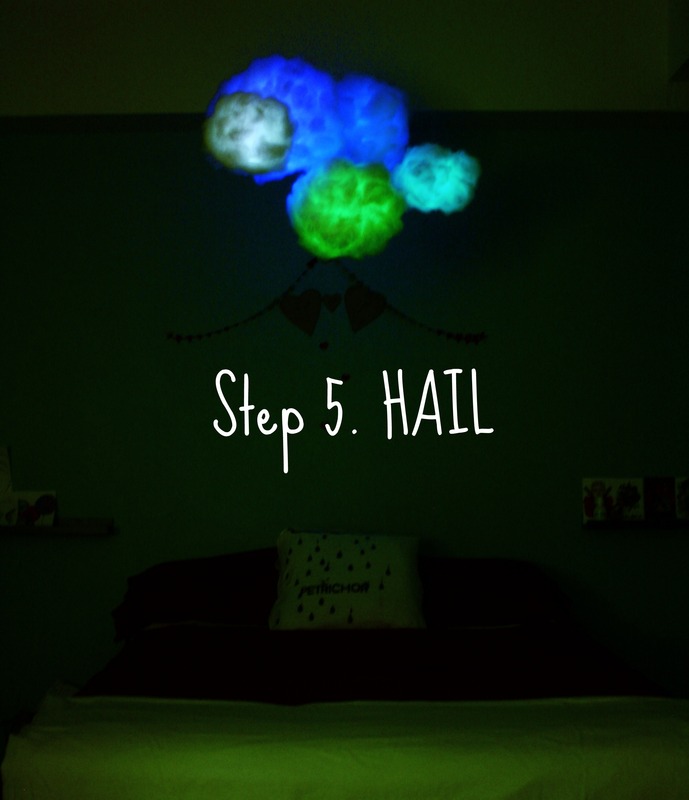 Will you be making and hailing a Glow Cloud of your own? 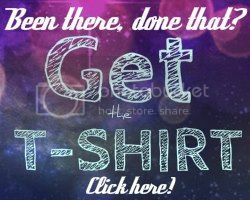 Send us pictures – leave a comment below, or hit us up on Facebook and Twitter! Also, Katherine (Freak Geek) and Cecelia (Unique Geek) will be attending two nerdy events this weekend. You can find both of them at Maker Faire New York on Saturday, and you can find Katherine at Brooklyn Book Festival on Sunday. If you see one or more of us, come say hi! That’s awesome! 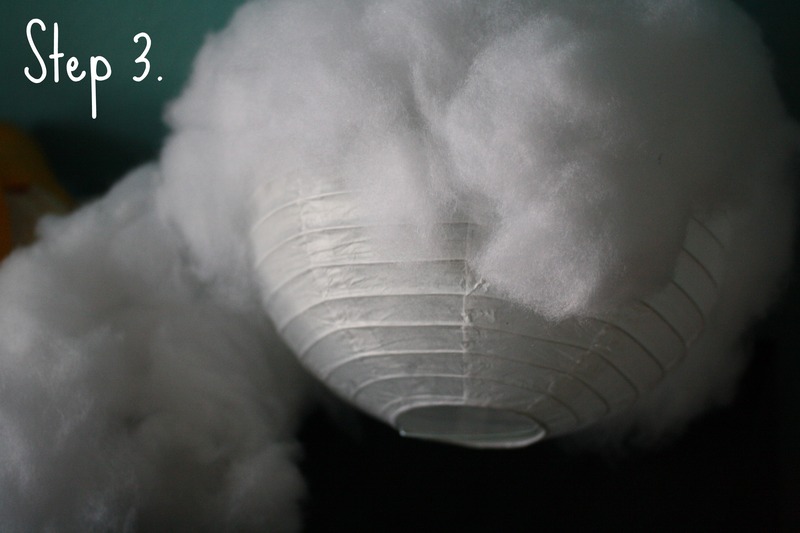 I don’t have a need for clouds… but I may have to play with that and see if there is a way to modify it for my annual Halloween party – and if I can’t – well, then maybe I DO need clouds!!! Also if you do it, Night Vale law requires you to post a picture for us to see. Okay,. you’ve both convinced me…. glow clouds here I come! You have a need for hailing the glow cloud. Can I modify this to make it a TARDIS sitting on a cloud? Then maybe buy a Clara figure? Like a magical, florescent cloud? 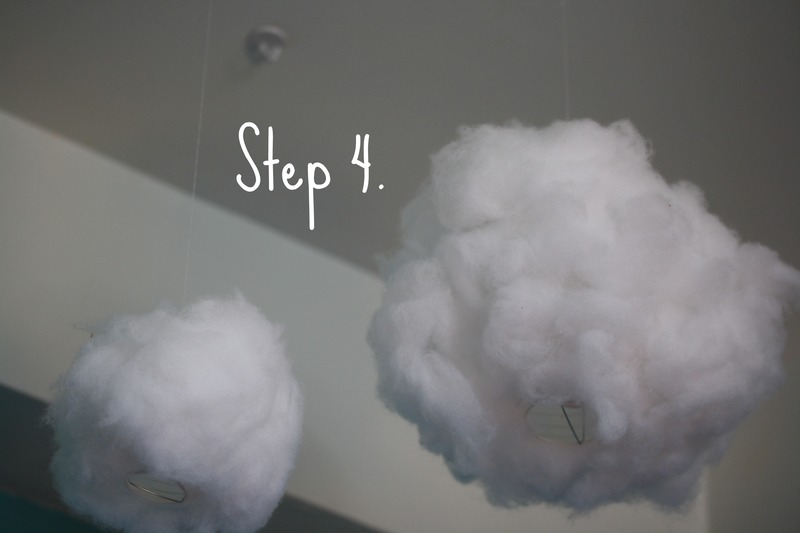 You could definitely do that, and we actually have a printable paper TARDIS you could attach to the cloud. Just search for “The Doctor Says Thank You”. Any way you can rig it up so that it rains down dead animals? Asking for a friend. Also, this is amazing and I love it and I want to give you a hug. Just saying. You may hug me. It’s allowed. Also, you could buy small plastic animals, tie them together with fishing line, and secure them to the bottom portion of the metal support with a couple knots and some hot glue. Hide the knots with some fiberfill. This is just….awesome. I’ve only recently gotten into Welcome to Night Vale, but I’m so happy it’s in my life. Go listen to it. GO LISTEN TO IT NOW. Reblogged this on Count My Stars. Which size glow orb did you use? 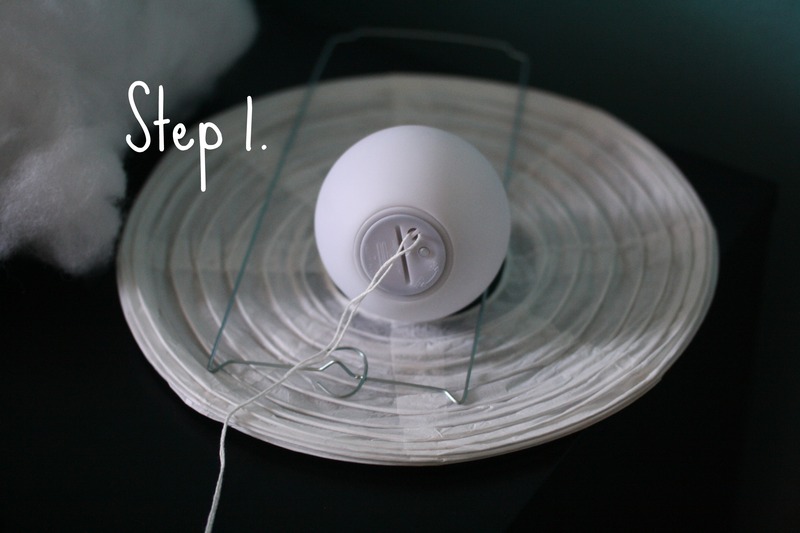 I used this particular orb —> http://www.save-on-crafts.com/smallorbs.html which is 3.25 inches, but check out the diameter of the hole in your paper lantern first and chose accordingly. You want the largest size that will fit through the hole. This is a super fun idea! My 16th birthday is coming up soon and I wanted to have decorations that nobody would’ve done before. I’m so glad I found this and didn’t have to stick with fairy lights! It should be a huge hit. Thank you!